Working from home may sound pretty straightforward, but it can actually take specific qualities and skills to make it work. The WAHspace WAH Certification is one way to demonstrate your aptitude. Realize that when working from home, you are still doing for a professional job that is to be taken seriously. There are also some specific work at home practices that can be followed when one is looking to or already is working from home. Below are some tips on how to be a successful remote employee. Communication is key: When working remotely, it is important to keep your communication skills strong. In the remote world, communication is important to keep the team connected and productive from anywhere in the world. You may communicate with your team via email, HipChat, Google Hangouts, Skype, or other methods. It is best to err on the side of over communicating in a remote environment to ensure that everyone is on the same page and on task. Self-motivation: Increase your level of motivation by creating the ideal workspace at home for yourself. Take time to create an own work environment that best suits your professional style and personality. Motivate yourself to be willing to continuously learn new things and take on new tasks. Staying motived helps ensure that you can and will stay productive throughout your work day. Don’t be afraid to ask for help: Without having a coworker physically sitting next to your workspace, at home roles may leave you with the impression that you are required to simply figure out a solution to any question you may have on your own. That is not the case, and remember, as previously mentioned, communication is key. If you have a question or are unsure about something, inquire with one of your co-workers or management. Be comfortable enough to pick up the phone, send an email or use an online chat to directly ask the questions that you have. To learn more about how to be a successful remote employee, join the world’s largest work at home community at www.wahspace.com. All over the country, companies across a wide spectrum of industries are looking to build their businesses with the best possible human capital. Seeking a broader talent pool, many are deciding to offer work at home opportunities and be able to recruit from a wider pool of candidates. 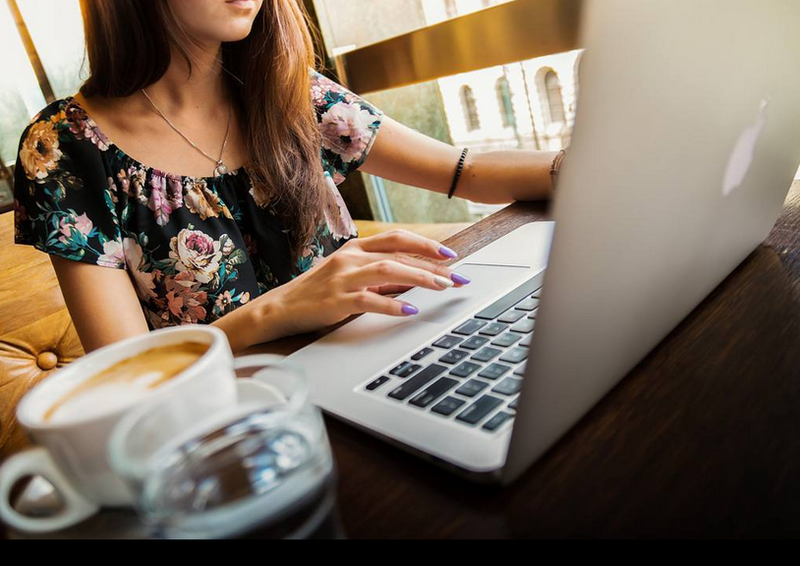 Companies are also realizing that flexibility and the ability to work at home is what many job seekers today demand, and the many benefits that come with the work at home business model. Many job seekers are ready to take on working from home once they realize how beneficial it is for them as well. Offering remote opportunities is allowing businesses to adapt to changing demographics. According to the Bureau of Labor Statistics (BLS), more Americans are spending time working from home than ever before. The share of workers doing some or all of their work at home grew to 22% in 2016. Approximately half of the U.S. workforce holds a position that is compatible with working at home, and 40% more employers are offering work from home options than five years ago. For companies to succeed in offering remote work, trust in on both the company and worker side is crucial. Those who work from home must have accountability and self-motivation. There is an assessment available called the WAH Certification that helps to evaluate a candidate’s basic skills set and personality fit for working from home. Some companies are now incorporating this assessment into part of their recruiting and onboarding process. For more information about working at home or to be a part of the work at home community, join us at www.wahspace.com. Get Background Checked with WAHspace! Many companies require pre-employment background checks as part of the hiring process. Background checks help a company identify potential hiring risks for safety and security reasons. Completing a background check through WAHspace is an excellent way to stand out from a potentially crowded pool of job seekers. Proactively conducting your background check allows recruiters to recognize who you are and ensures that you are ready to take on the work from home world. The background check process here at WAHspace is simple and secure for our members. There are many benefits of a WAHspace background check. 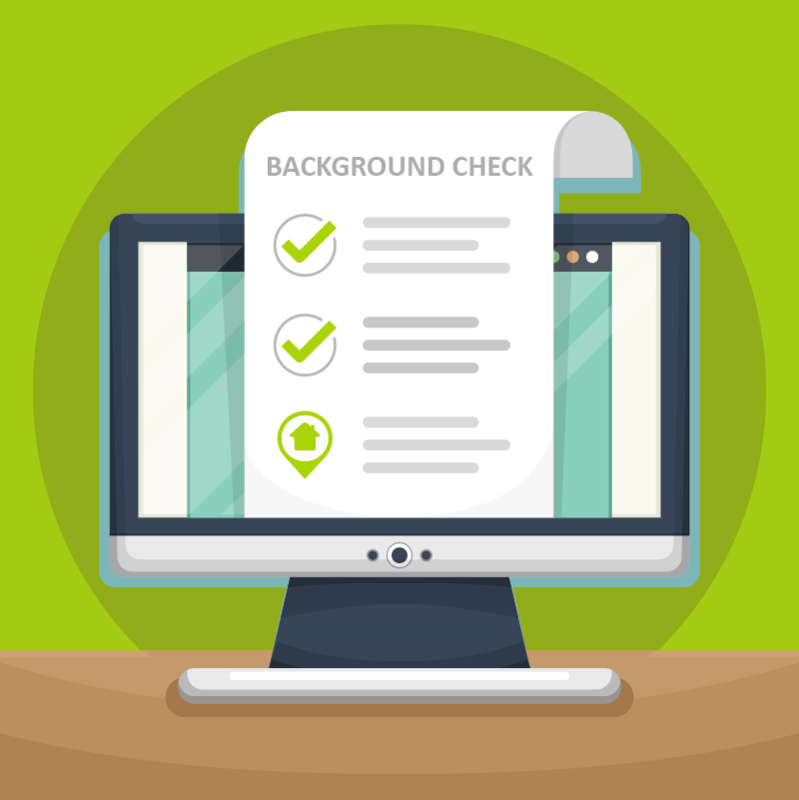 For some companies, the WAHspace background check may actually replace whatever background check are currently in place as part of the onboarding process. A recruiter who may come across your WAHspace profile as they search for potential work at home candidates will notice that you are prescreened, and be more confident that you are ready to begin the hiring process. Participants that complete a background check have an advantage amongst other work at home candidates. WAHspace offers the background check safely and securely, completed in excellence by a third party vendor, at a cost of $19.99. This is fully confidential, and will not be shared with anyone, even us at WAHspace. To complete your background check, you can visit the toolbox and click on “Add Background Check!” and begin the process. You can also download a copy of the completed report for your own files. To get your own background check or join the world’s largest work at home community, visit www.WAHspace.com. 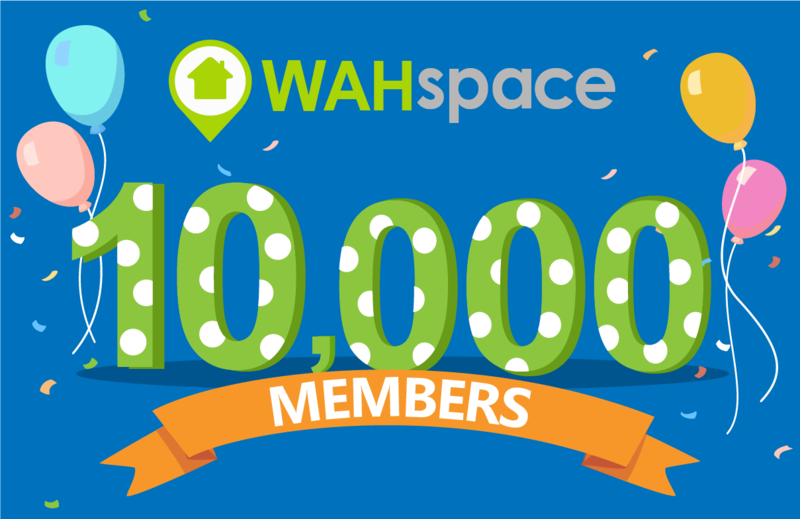 WAHspace is Celebrating 10,000+ Members! This week, WAHspace celebrated the milestone of surpassing the 10,000 community member mark. WAHspace members are people all across the United States and Canada who are actively looking for work at home roles or have specific interest in the work at home industry. Many WAHspace members have earned a WAH Certification badge after successful completion of an online module that assesses basic skills and personality fit for working at home. Members can also opt into completing a background check through WAHspace. In addition to over 10,000 community members, WAHspace has eleven companies representing nearly 50,000 workers that have successfully been designated with the WAH Certified company credential. The WAH Certified company credential is available to qualified companies that offer work at home opportunities. Through this program, companies are able to join the WAHspace online community and connect with the pre-screened WAHspace work at home community talent pool. Qualified companies must be in business for a minimum of two years, pay a living wage to workers, and have a generally favorable reputation in various online review forums. WAH Certified companies are able to post an unlimited number of at-home job opportunities to the site. In the United States, the market for work at home opportunities, while already solidly established, is growing quickly. In the United States, almost 4 million people work from home at least half the time. For more information about WAHspace or to find out how to become a WAH Certified Company, visit www.WAHspace.com. Why Become a WAH Certified Company? WAHspace is excited to announce and welcome our newest WAH Certified Company, DVMelite. As opportunities to work at home become more common, now is the time to think about becoming a WAH Certified Company with WAHspace or encourage your current company to earn its WAH Certified designation. As a WAH Certified Company, you have access to connect with potential job seekers, build a company profile, and post an unlimited number of work at home job listings. When building your company profile, you will provide key facts and information about your organization so that our WAHspace members can get to know what your company is all about. Being able to post an unlimited amount of job listings can help your company gain a great number of motivated employees. One of the greatest things about becoming a WAH Certified Company is that you are able to better distinguish between applicants who may or may not be ready to work from home. Many of our members have earned their WAH Certification, which consists of a basic skills test and a personality assessment that demonstrates their aptitude and fit with the work from home. WAHspace recognizes its WAH Certified Companies to all members and visitors by displaying your company logo on our website homepage and job board. This helps companies stand out to our community members and acknowledges you as a credible company. As a WAH Certified Company, you will be able to search resumes by key words and skillsets. If your company may only want a member who is WAH Certified, you will also have the ability to narrow your search down to members who have received their WAH Certification. 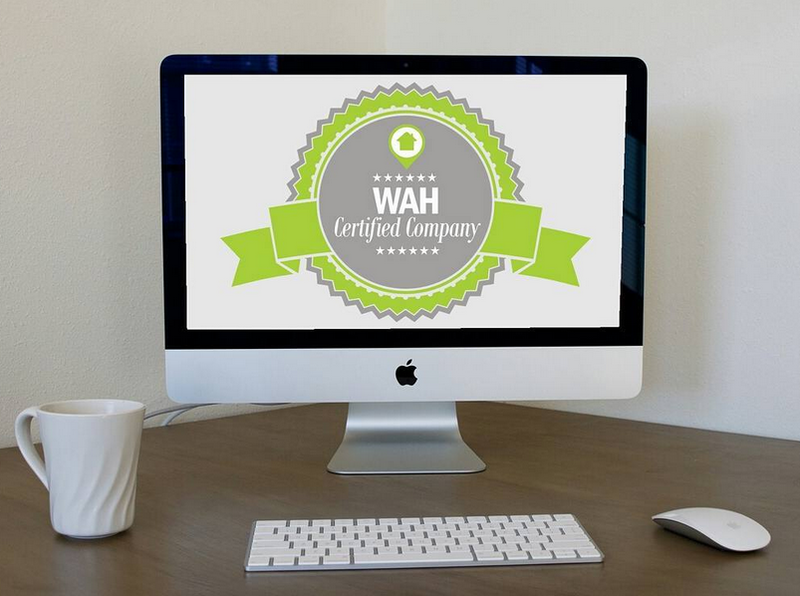 Becoming a WAH Certified Company can make hiring work at home employees much easier for your company. To gain your WAH Certified Company credentials for an annual administrative fee of $199, and more information on how to do so, visit WAHspace.com or call 844-924-8533 x2. According to a Gallup survey, 43% of employed Americans spend some of their working hours working remotely. Some people may mistakenly think that working remotely translates into a lonely existence with isolation from your team and colleagues. Whether you are working in a traditional office setting or working from home, staying connected to your coworkers is an important contributor to overall job satisfaction, and can be crucial to a successful work at home experience. Organizing workers in remote teams is a common management strategy. In a recent survey, nearly 100% of work at home employees said that they worked in teams part of the time, while half of those actually said they worked with teams all of the time. Teamwork actually supports individual empowerment. As you would in a traditional setting, when working in a remote team, you develop a system that allows you to complete tasks efficiently and quickly and report back in for accountability. Your remote team can also act as a support system when challenges arise. Communication is at the top of the list for how teams can best function, whether in an office or a remote setting. There are tools available for you to communicate with your employer and co-workers, and some online services help create the experience of being together. Basic video calls, as well as other tools available, including HipChat, Google Hangouts, join.me, Skype, and many more, all support strong team based communication practices. This helps make the challenges of geography easier to manage by bringing the team together. While some may find it hard to work at home and stay connected, we have laid out some tips on how to feel connected when working at home. Some of these tips include encouraging video conferences, defining your team’s goals, being ready and always respond. As the trend to work at home continues to grow, stay connected and learn more by joining the largest work at home community at www.wahspace.com. Many people fall in love with the idea of working at home, envisioning rolling out of bed and starting their workday in their pajamas. While the reality might be a bit different for some, nevertheless there are many key benefits for employees who decide to work from home. More Flexibility—Many times as a work at home employee you have the privilege to decide to work when you want or need to. Having flexibility with your work schedule will also allow you to have a balance between work and your personal life. This can be especially important for those parents who are working from home and need that flexibility to make time for their kids. This allows you to be present for important milestones in your child’s life. You will have the ability to spend more time with family while growing professionally. With this flexibility, you are now saving money on child care, saving time while avoiding traffic, and being more environmentally friendly. Enhance your productivity—Studies have shown that employees who work from home are more productive, happier, and less likely to quit. Because working from home is a valuable benefit, employees are motivated to work hard to demonstrate the value of this benefit to their employer. Although it may seem like there are more distractions at home, people do get more work done when they are not in an office. Two-thirds of managers say employees who work remotely increase their overall productivity. 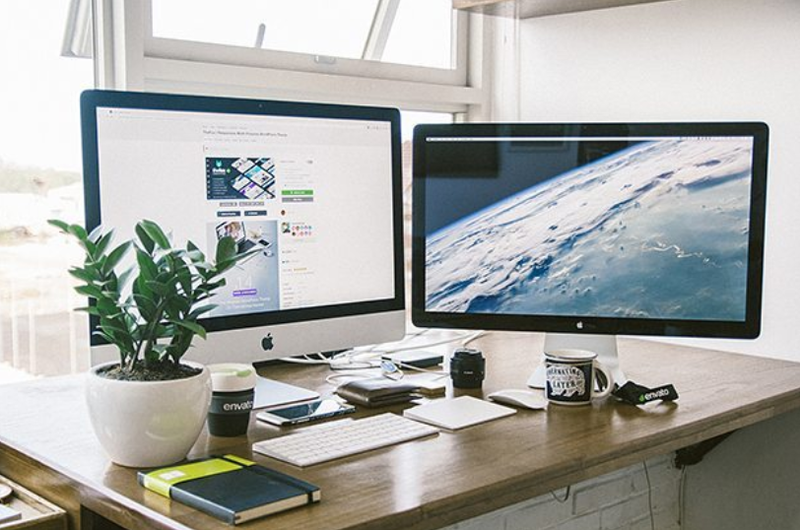 Setting up your own workspace— The freedom to design your workspace and the privacy and quiet of working from home are not available in the traditional office environment. Working from home allows you to set up and find the perfect workspace. You have the privilege of decorating your workspace with colors and accessories that will suit your professional style and personality. Your home office can serve as a source of inspiration, motivation, and fun. A quieter atmosphere can also be key to enhancing your productivity. If you haven’t already, join the WAHspace community to land your first or next WAH Job and take full advantage of these benefits! Remote work is on the rise, and more and more companies are taking advantage of the work at home model. Nearly four million Americans regularly work from home each day, and this number is expected to grow by 63% over the next five years. With such a large percentage of our workforce taking part in the work at home model, it is important to take a closer look at the benefits for the companies that allow their teams to participate in this growing trend. Reduced Costs: There is no denying that working from home will save companies money. 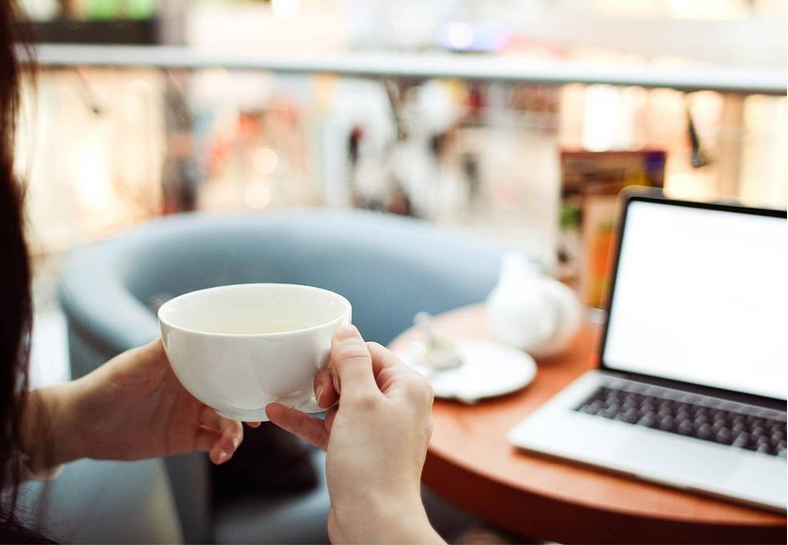 Companies employing remote workers have the added benefit of saving money on overhead costs such as office space and supplies. Remote workers also tend to have a higher rate of productivity as compared to those with an in-office position, which keeps the company from losing money due to a lack of production. Employee Retention: Employees who work at home have a greater work-life-balance, which helps them lead happier, healthier lives. If employees are happy with their work-life-balance, they will not leave a job that they are happy with. Higher retention rates saves companies both time and money, and help to build a loyal employee base. Talent Selection: The great thing about employing remote workers is the ability choose from a wider talent pool. This opportunity allows companies to get the best person for the position, without geographic barriers. Companies have used a wide variety of tools to stay connected with remote teams and this connectivity allows for teams to be comprised of the best of the best from all around the country, or even the world. At WAHspace, our WAH Certified Companies have a number of added benefits to save companies money, time, and give them the best candidates for their positions. For more information or to access these benefits, become a WAH Certified Company today! Individuals interested in working at home are invited to join our community today. Earlier in May, we celebrated the contributions that mothers make each day all around the country. In just a few weeks, we will honor the fathers who do the same. At WAHspace, we know that one of the biggest challenges that comes with parenting is balancing providing for your family with the need for child care that is often associated with parents going to work each day. For some people, working at home can provide the flexibility that allows parents to adequately fulfill both roles. Many parents choose to work from home so that they can enjoy their children’s younger years and not miss out on any important stages in their child’s life. 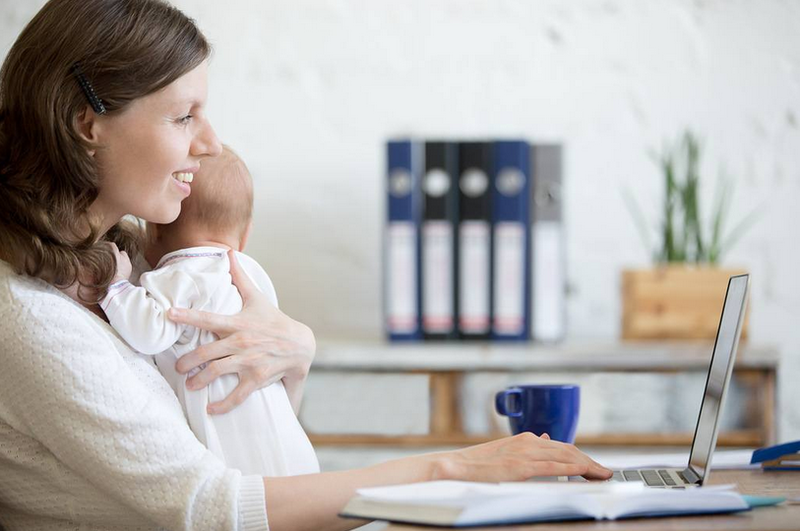 According to a recent survey, over 90% of moms that were interviewed said that the desire for family flexibility is the number one reason they work from home. This lifestyle can sometimes present challenges that need to be handled on the front end. Success as a work at home parent requires planning from the start. It is important that while you are working, you have something for your child to do or someone to watch them. If you do not have someone watch your child while you are working, then it is best to set a realistic work schedule. If your child goes to school, takes a nap at the same time throughout the day, or goes to bed early at night, recognize those windows as opportunities to get work completed. Remember that not every company provides the same kind of flexibility, so always be clear about your availability with your manager or point of contact up front. A support system can also help ensure that you will be successful in your work at home role. This can include family members, friends, neighbors, and paid child care providers for the unexpected events that happen in life. We also suggest that you connect with other work at home parents at WAHspace to share tips and strategies for managing the multiple priorities that parents face each day. For more information or to join the community, visit WAHspace.com. As WAHspace continues to grow, we continue to offer a variety of benefits to our all of our members. Regardless of your membership level, at WAHspace you can build out your profile, earn your WAH Certification, purchase a background check, and connect with other members. However, by upgrading your membership to a Premier Member, you have additional exclusive benefits. One of the great benefits that come along with the Premier Membership is access to free technical support. If you experience any technical issues while working from home or may have a question that is not easily answered through internet resources, our team is here to help you! Our team can do things such as diagnose and fix computer speed, software errors, internet and email connection issues, viruses, and malware problems. The WAH Certified companies that we work with like the peace of mind that comes along with knowing that their potential employees has access to this kind of assistance. As a Premier Member with WAHspace, you will know exactly where to find technical support. WAHspace Premier Members also have the ability to upload their resumes to their profile. This allows potential employers to have the ability to search for different keywords so that they can find just the right types of candidates they may be looking for. Also, as a Premier Member, you will have access to our WAH Certified Company job postings, and your profile will be featured to all of our WAH Certified Companies! This is a great way to give you extra exposure to employers. WAHspace is here to support our members and help them achieve work at home success. If you are interested in having exclusive access to our technical support, become a Premier Member now at www.wahspace.com. When working from home, a reliable home computer and internet connection are key components of making sure you are able to work successfully. Yet most at home workers are not supported by a company IT department. When your system goes down, it is important that you know exactly where to find technical support. As a WAHspace Premier Member, you receive free technical support services as part of your monthly membership. Our team can help fix computer speed, software errors, internet and email connection issues, and viruses and malware problems. 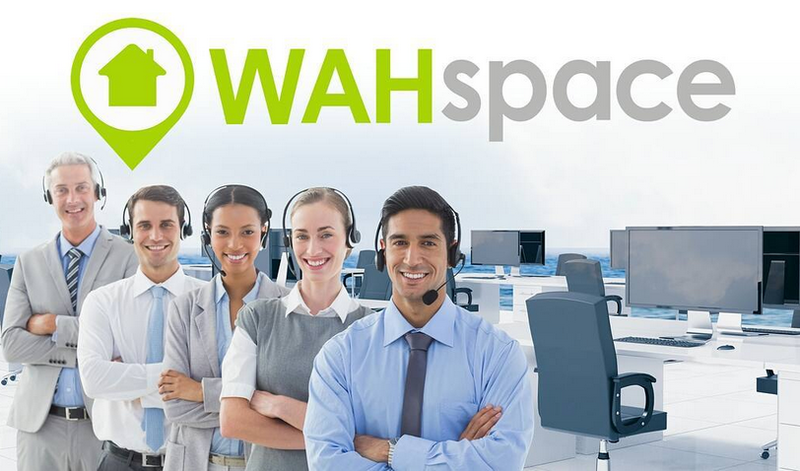 With WAHspace technical support, there are no set-up, one-time, or cancellation fees. Technical support is included as part of your Premier Membership for just $19.95 monthly. Other companies providing similar services may charge set up fees of over $100 and expensive hourly rates, along with required annual contracts of more than $300. WAHspace provides this service at no additional cost to our Premier Members. Gain peace of mind and take full advantage of the benefits of technical support by joining WAHspace as a Premier Member now! When you work from home, it can be challenging to maintain a work-life balance. We’ve put together some tips on how you can improve this balance when working from home. When you are working from home, make sure you have a separate workplace where it is easy for you to stay focused and get your work done. It is best to make a desk area in your home designated just for work. This area should be kept well organized as it would be if you were working from an office. Typically, those who work from home find themselves to be working longer hours than they would if they were in an office. 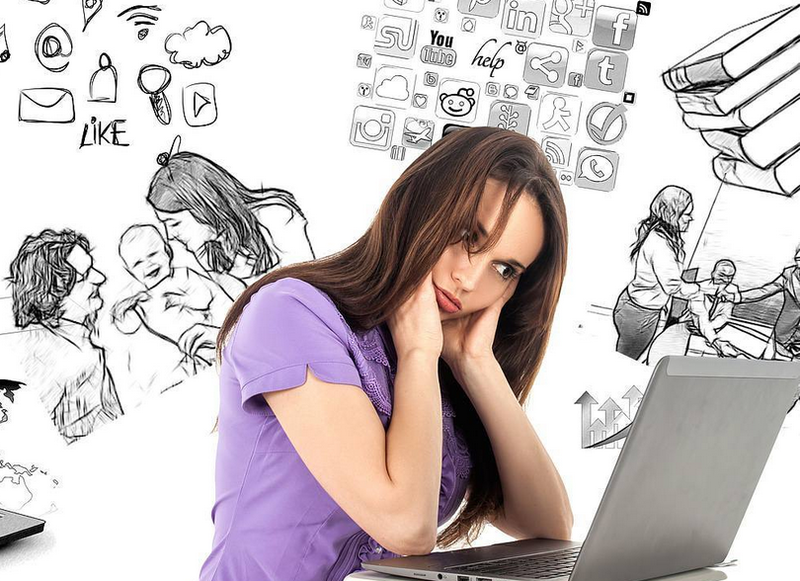 This might sound unusual, but sometimes those who work at home experience an inability to ever really be “off the clock” and it is easy to lose the separation between their professional and personal lives. Clocking in and out at the same time every day is important so that you can create some structure to your day. And you don’t need to use an actual time clock – simply setting your work hours and firmly sticking to them can be helpful. Communication is key! What your family may not realize is that although you are working from home, it is still a job that is to be taken seriously and requires just as much attention as an office job. It is important to remind your family of the hours you are working, and that you are unavailable during those hours. Family can often be your biggest distraction, which underscores the need to communicate clearly with them. This is especially important when you are approaching a deadline or have a scheduled conference call. 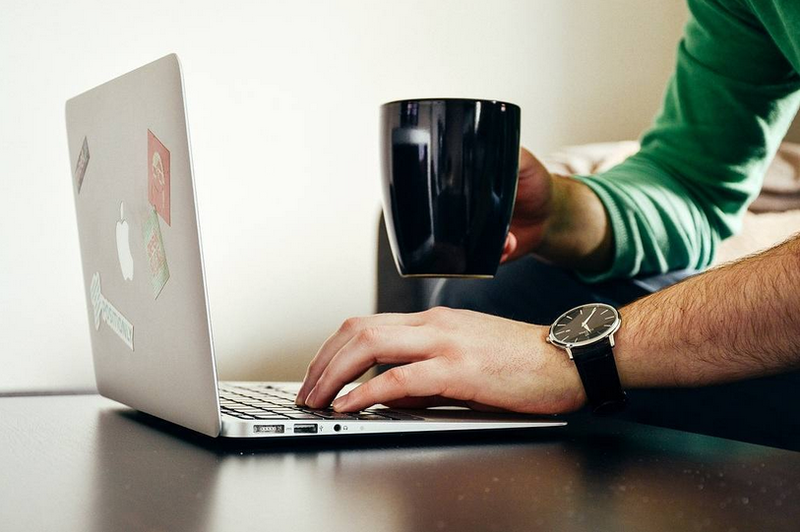 These tips will help improve your work-life balance when working from home. For more information or to join the community visit www.wahspace.com . Here at WAHspace, we realize that many of you may be visiting our site for the first time, or even breaking out into the work at home (WAH) community for the first time. We’ve created a little go-to guide to help answer any questions you may have to get you started, and help you succeed in all things WAH! So what is WAHspace anyway? WAHspace is an online community designed for individuals seeking to work from home to connect, learn and earn! With WAHspace, you can connect with other work at home individuals like yourself, take assessments through WAH University to demonstrate your skills, and find legitimate work at home opportunities. 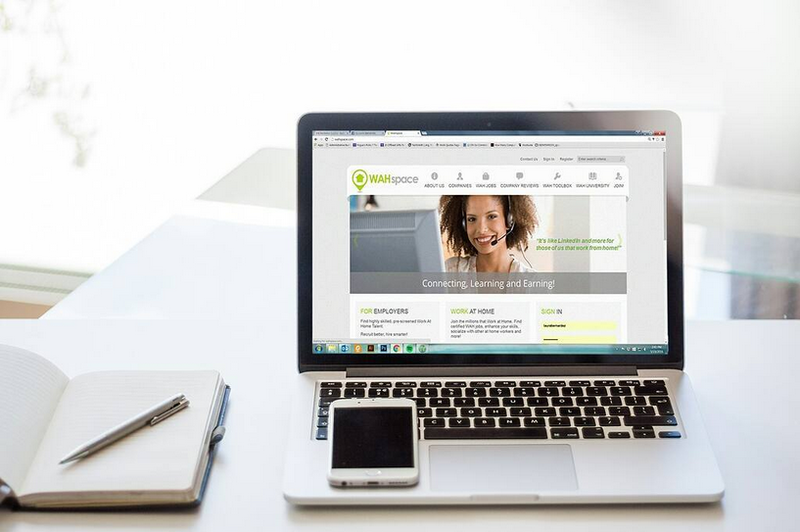 We are not a staffing agency, but rather a platform that connects work at home individuals with companies that provide legitimate work at home opportunities. Our Basic membership is free of charge, and give you access to all of the basic job posts and access to our WAH University. Our Premier membership is $19.95/month and there are many benefits to the Premier membership. Assessments in WAH University and the background check have a fee, and are credentials that you can add to your resume and professional profile. How do I join WAHspace? To join our community, click here and select your desired membership level to register. What is a WAH Certification and WAH University? WAH University is our online learning management system designed to demonstrate to potential employers that you possess the desired skills for their position. Our WAH Certification is a basic skills and personality test that demonstrates your fit for working at home. Earning this credential will help you stand out to potential employers. Do you have any other great tips? If you haven’t already, join the WAHspace community, get connected, and stay tuned to our blog for more great tips on how to land your next (or first) WAH job! Granting your workers choice in where and how they work will undoubtedly boost employee commitment and job satisfaction. A flexible work environment plays a great part in building loyalty to a company, and in turn reflects on and affects the company itself. After becoming a Certified Company on WAHspace, you will have access to our community of prescreened talent to help fill your work at home positions. Working from home can increase employee productivity. According to the Harvard Business Review, studies have found that those working remotely have completed 13.5% more calls than staff working in an office. It is also shown that those who are working remotely voluntary leave their positions at half the rate of people that work in the office. Flexible hours and the ability to work from home are options for companies and small businesses that can’t afford expensive benefit packages. They usually create savings in company overhead, while costing the company next to nothing to make available. Working from home can make your employees happier, especially when they do not have to make their way out of the house each morning, just to get stuck in morning traffic. Happy workers results in better work output, more productive days, and most importantly-lower attrition rates! Personal circumstances that require geographic relocation do not need to affect the employer of an at home worker. Even when an individual’s family has to move, the employee can still remain loyal to the company and continue working because they work remotely, and not at an office space at a specific location. For more information on how to become a WAH Certified Company, or to join the world’s largest online work at home community, visit WAHspace.com. Your WAHspace profile is your tool to present yourself to the community and point out what makes you unique. After joining WAHspace, you should take a few minutes to update your profile with your personal and professional information. When updating your WAHspace profile, be sure to upload a picture of yourself. The photo should be kept professional and of only yourself. It is best to keep the photo as a headshot from shoulders up. Before uploading the photo of yourself, make sure that it has a high enough resolution and is work appropriate. Remember, this picture may help to set a first impression for potential employers. 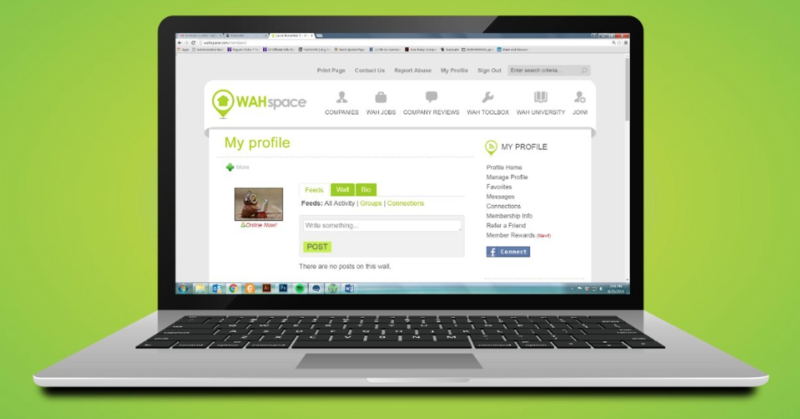 Include information about your hobbies and interests in your WAHspace profile. This is significant because recruiters are looking for insight into the type of person that you are. They want to know what you like doing in your free time outside of work, or if you have any special skills and talents. Make sure that you upload your most recent professional resume to your premier member WAHspace profile. If you don’t have a current resume ready to go, get to it! 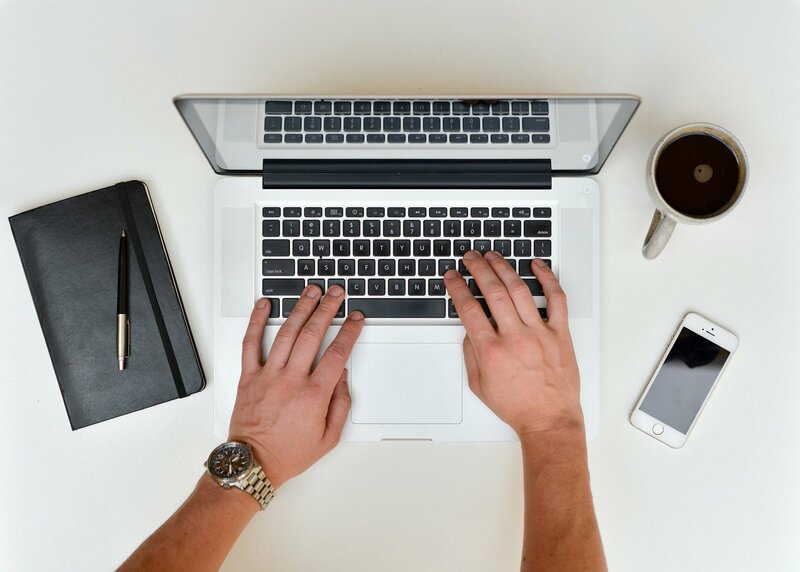 Begin by writing an effective resume that has a simple format, uses keywords related to the position you may be interested in, and most importantly—is proofread to perfection. This resume will be the key tool to help you secure the job you want. You may think that adding your geographic location may not seem necessary, but it can be an important part of the screening and hiring process. Although you are working from home, some companies look to hire individuals in specific states or cities, so be sure to include that information in order to get noticed by these companies. Complete your profile entirely so that you will show up in the search results when companies search our database by experience, education, and other keywords. Keep your email address and phone number current, as that is how these companies will most likely contact you with an opportunity. For more information or to join the largest work at home community, visit www.WAHspace.com today. Companies that offer work at home positions are taking full advantage of the benefits that it has to offer. These upsides include reduced costs, increased staff motivation, hire employee retention rates, and the ability to hire the best talent without the limitation of geographical location. However, like most good things in life, there are always some potential challenges that companies may experience when offering remote positions. Below are some ways to avoid making common mistakes with your remote team. Challenge: Lack of in-person communication and collaboration. - Try to get the team together, physically or virtually, for a regular strategic planning meeting. Be sure to equip your team with knowledge of the basic aims and foundations of your company. Provide and nurture an online meeting place. We suggest doing this once a week, either at the end or beginning of the week, by phone or a chat service. Schedule work hours so that there is overlap in team member availability. Being online at the same time for at least part of each work day can go a long way towards promoting effective communication, speedy issue resolution, and collaboration. Challenge: Employees will perform poorly due to lack of at-home supervision. - Direct oversight is still very achievable. Set measurable performance targets, such as specific sales or customer service goals, that will allow you to track accountability and boost performance. Create goals with clear, measurable milestones along the way so that you and your staff member can both see whether the work is on par or not. Challenge: Privacy concerns, as employees working from home can leave businesses vulnerable to everything from data loss to security breaches. - In the office or remotely, there are ways to minimize privacy risks! Have your company’s IT department carefully review all network protocols, and be placed in charge of remote access granted to staff members. Only give employees access to databases that are relevant to their job duties. Put protocols in place to prevent sharing of company information over social networks. For example, we suggest limiting employee access to their social media or personal email accounts during work hours. The many benefits of having your employees work from home outweigh the challenges. For more information or if you’d like to become a WAH Certified Company, visit http://wahspace.site-ym.com/?certification. Individuals can join the community at http://wahspace.com/?joinus. When embarking on a new career path and stepping foot into the realm of working at home, many people have certain ideas of what their new WAH lifestyle will be like. While there are many benefits, it is important to fully understand what working from home might really mean for you. Below are some of the realities of the work at home lifestyle that help to set straight some common misconceptions about working from home. 1. You won’t have more time for chores and errands. Many people equate working from home with being free to do household chores and errands during the work day. Depending on the position in which you hold, you may have a set schedule. Many positions operate on a formal hourly work-day. This means that just because you do not travel to an office, you won’t be free to do as you please during the work day. 2. You can’t work with small children around. Many parents decide to work from home under the idea that they can save on child care costs. However, it can prove to be very difficult keeping an eye on small children while still remaining productive in your position. Different positions have different requirements, but some companies have virtual team meetings, where you will not be able to have your children in the background. Many positions that involve being on the telephone require that you have a separate work space, free from all distractions and background noise. 3. It can be hard to stay motivated. Even the most motivated person can find themselves in a rut at times while working from home. It is hard when you don’t have a boss directly in front of you to answer to. There are ways to stay motivated while working from home. 4. It’s just as challenging as an office job. Some people look to make the transition from the traditional office because they feel working from home will be easier. The only difference between your position and an office job is the office. You will still find the same quotas to fill and the same deadlines as you would with a traditional office job. The only difference is the coffee pot can be on your desk and not in the breakroom! 5. You may not have more time for family and friends. Unfortunately, just because you work from home does not mean that you will have more time to do the things you love, with the people you love. However, it is very important to help create a healthy work-life balance when working from home. 6. Not everyone can do it. One of the common misconceptions about working from home is that anyone with a computer can do it. However, there are certain characteristics of individuals who are successful in their WAH careers, and working at home is not necessarily a fit for everyone. The best way to demonstrate your aptitude for working at home is to earn your WAH Certification. To become part of the work at home community or to get WAH Certified, join WAHspace today! Working from home means no commute, no dealing with co-workers, and no having to fight for a parking spot every morning. Working from home is great, but it is sometimes hard to create those personal connections that people with in-office jobs often don’t even think twice about developing. Here are some ways you can get, and stay, connected with others who work at home. WAHspace is designed not only to be a way for members to connect with companies, but with other at home workers! To send a connection request to another member or a company you must be logged in to your WAHspace account. You can search for a member in the search box located in the upper right hand corner. Once you click on their name, you will see a link to send a connection invite. When they approve the connection, you will be able to view their profile. If you work as part of a remote team, it is extremely important to get to know, and connect with your co-workers on a regular basis. You can do this via video chat, phone, or even webchat. This will help you understand how they work, so your projects can be done more efficiently. It could also bring a little bit of office comradery to the home office! If you’re on different social media platforms, you can connect with many different individuals working from home from all over the globe! You can connect on Facebook, Pinterest, Twitter, and more! We encourage all of our members to post any comments they have to our blog and interact via the blog. This is a great way to get to know one another and make new connections! Members are also welcome to post to our blog as well. Please keep in mind that this blog is monitored by us here at WAHspace. If you haven’t done so already, join WAHspace and stay connected to thousands of others interested in working at home just like you! Here at WAHspace, we want all of our members to succeed. We’ve put together a few tips for our members to help make finding your next WAH opportunity a breeze! Upload a picture of yourself- Be sure to keep it professional and of only you. This will be your first impression for potential employers. Include your interests, hobbies and skills- This lets employers get to know you, your unique talents, and what type of person you are. Add your location- This may not seem important when working from home. However, many companies do look to hire individuals in certain states, and even certain cities. Adding your location will help you get noticed by those companies! Upload your resume- Premier Members have the ability to upload their resumes to their profile, which increases their chances of getting noticed by potential employers. As mentioned above, Premier Members have the ability to upload their resumes to their profile. Employers have the ability to search for different keywords in these resumes to find the types of candidates they are looking for. Premier Members also have access to our WAH Certified Company job postings, and your profile will be featured to all of our WAH Certified Companies. There are a number of tests you can take inside WAH University that will help demonstrate to potential employers your skills. Earning your WAH Certification is a great way to show employers not only your skills, but your personality are fit for working at home. If you earn your WAH Certification, you have the chance to become a featured member on our homepage, which will give you extra exposure to employers! Submitting to a background check through your WAH Toolbox will also increase your chances of landing the job, as recruiters know they’re getting a prescreened person right from the start! 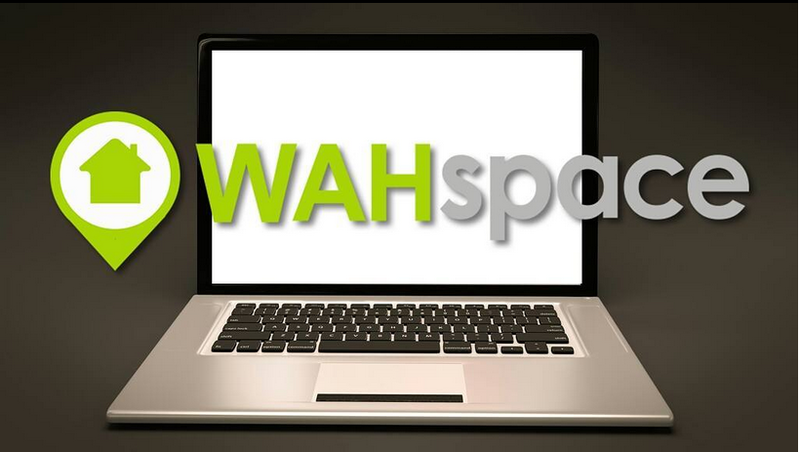 Make sure you keep up to date with all of the latest WAH information, and if you haven’t already, join WAHspace today! One of the most crucial steps in landing any new position is the interview. For work at home positions, this is usually conducted via telephone, video chat, or a combination of both. This interview is your chance to shine and show your potential employer that you are the best person for the job. Below are a few tips to help you to rock your interview. In order to stand out from the crowd, do your research! Research the company- their history, their products and services, and even their leadership executives. We also recommend researching the person who will be conducting the interview, so that you are prepared and have an idea of who you will be speaking with. Why do you want this position/Why do you want to work for this company? - This is where you can show off your research skills and show that you are knowledgeable about the company. What makes you the best candidate for this position? - This is your time to shine! Flaunt your skills and achievements, including your WAH Certification! What are you looking to get out of a position with this company? - Be honest! Interviewers know when someone is giving an answer that they think the interviewers want to hear. What are your weaknesses? - This is a tough one. Again, be honest! Turn your weaknesses into strengths. You should think about the impression you create with this interview the same way that you would with a face to face situation. Even if the interview is via telephone only, you should dress in business casual or business professional clothing. This will help you feel more confident and professional during the call. In addition to dressing appropriately for a video interview, make sure the background is free of distractions and clutter. If other people are home during your interview, be sure to keep to a separate room where you will not be disturbed. Paying attention to your surroundings will go a long way during a video interview. Interviewers will take note of any mess in the background, so be sure to clear away that pile of clothes you tried on for the interview! Follow-up with the company post-interview. 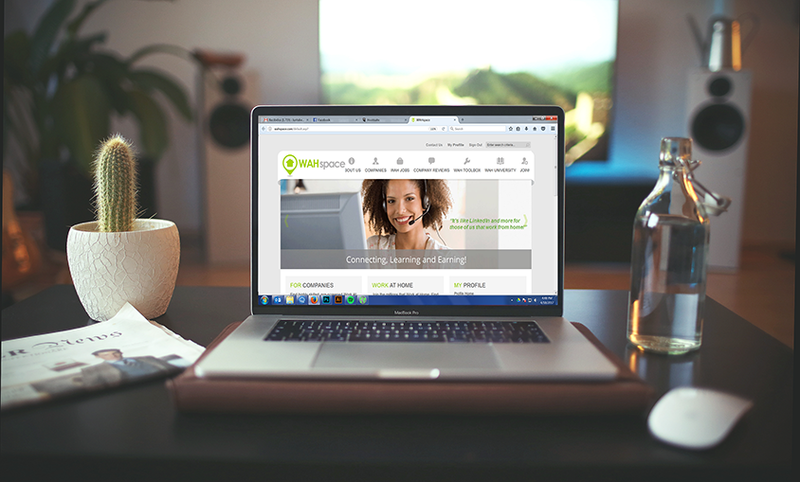 Stay connected to your work at home community by joining WAHspace, and keep up to date with all of the latest WAH information! Many people have an idealistic notion about what working from home is really like. While remote work comes with many benefits, it’s not necessarily a good fit for everyone. Here are a few considerations to ponder as you decide whether or not working at home is right for your future. Must be a self-starter: When you work from home, there will not be someone standing over you constantly reminding you to get things done or constantly warning you that the deadline is approaching. If you are self-motivated and know you can stay on track without the accountability of someone supervising you in person, then working remotely might be a fit for you. Understand the work hours: Be sure to clarify if you will be working typical office hours of 9:00AM-5:00PM or if you will be setting your own flexible schedule. Understanding this fully on the front end will help eliminate any future problems or confusion. Be a strong communicator: While working remotely you lack the ability to read people through body language, and vice versa. Therefore, you should communicate clearly and often so that you form a solid working relationship with your coworkers. Strong communication skills include being able to embrace technology. You should be comfortable with connectivity tools such as web conferencing, instant messaging, and other online meeting tools that’ll make it easier to communicate with your colleagues from your home office. Should be content with alone time: Working remotely means that you don’t get the chance to see many people, and you are physically alone majority of the day. At some moments, you may even feel that you’re disconnected from the world. You should be content with alone time when working remotely as that is what you will be facing majority of the time. We suggest that work at home job seekers earn their WAH Certification to demonstrate your readiness and aptitude to work remotely. For more information about working from home or to join the world’s largest work at home online community, visit www.WAHspace.com. 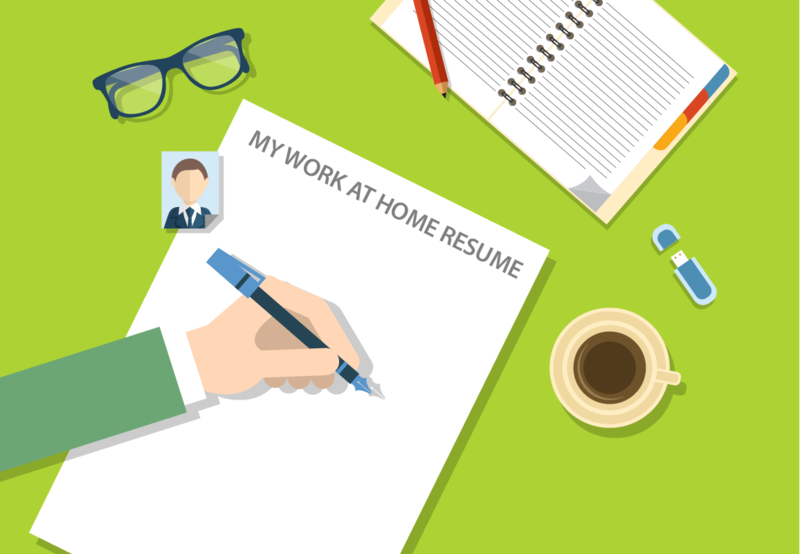 In order to make a positive first impression and capture your potential work at home company’s attention, it is important that you have a well-presented resume. If your resume does not catch your potential employer’s attention and make a great first impression, you might not have the opportunity to be fully considered for a role. You should think of your resume as your own personal promotional advertisement that should include ample amount of information to sell your skills and experience. Make sure your resume is tailored to the job you are applying for. Some savvy job seekers have multiple versions of their resumes that are tailored specifically to the positions they are interested in. You should customize your resume to draw out your specific experiences that you have that are relatable to the job that you are applying for. This includes using keywords related to the skills that the company is looking for from their job description. Remember, no matter how impressive your professional qualifications may be, if your resume has spelling errors or typos then your chances of getting hired have just decreased immensely. Use spell check, and ask someone that you trust to read through your resume for potential misspellings or typos. We recommend keeping your resume simple and well organized. Choose a basic font type and size so that it is easy for the hiring manager to read. There is no need for a fancy font as the hiring manager will not be paying attention to that, and it might actually distract from the content. While you want your resume to be polished and complete, completely filling up the page with text can sometimes lead to your resume looking too busy. Improving your resume is a necessary step in the process to land an opportunity to work from home. When you join wahspace.com you can build out your personal profile by including some of your unique qualifications from your resume. Be sure to earn your WAH Certification and include that credential on both your resume and WAHspace profile! The WAHspace team kicked off 2017 by welcoming ViaSource Solutions as one of its most recent WAH Certified Companies. We would like to congratulate ViaSource Solutions for earning this credential and its many associated benefits. The ViaSource Solutions vision is to be recognized as an industry leader providing Inbound Contact Management Solutions and Outbound Programs to the business community. 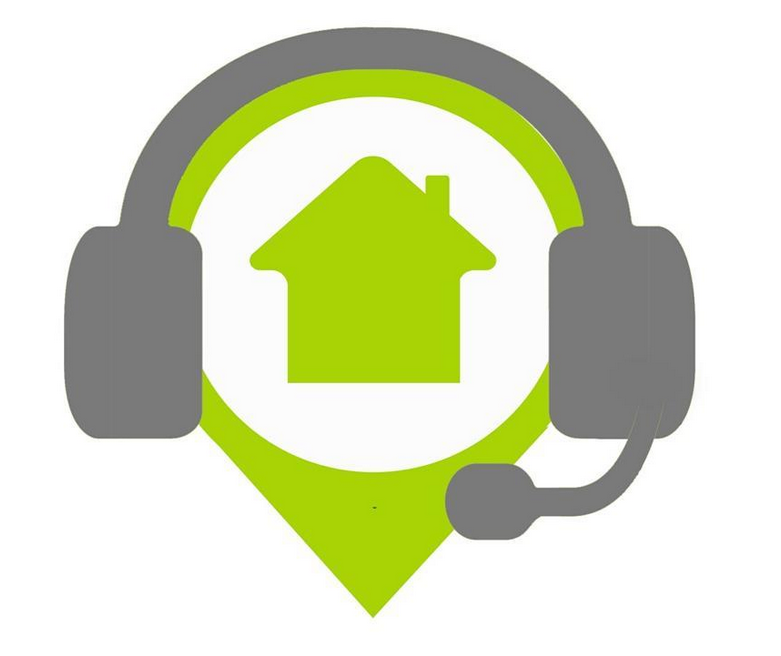 Their advanced technology and highly-trained agents allow them to deliver an unparalleled customer service experience. They have the expertise to lower your customer support costs, increase sales conversion rates, and improve your first call resolution. ViaSource Solutions handles it all—from customer acquisition and retention to technical support customer service—with high quality and commitment. 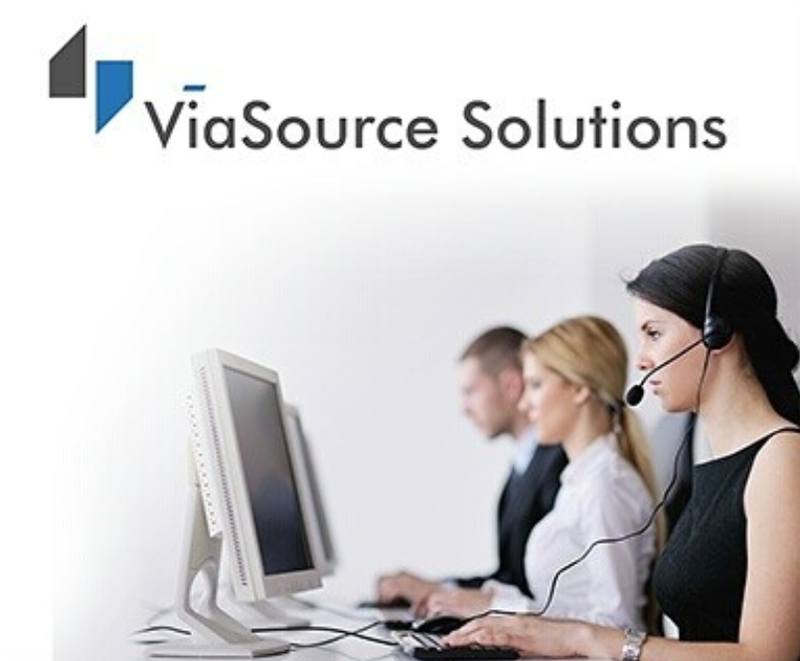 ViaSource Solutions handles millions of calls each year, twenty-four hours a day, seven days a week. They perform this work a variety of languages over the phone, chat and social media channels. This capability provides their clients with the best of all worlds; superior quality, experience and “hands on” service, along with the advanced technical capabilities expected by their rigorous clients. ViaSource Solutions works diligently to assure that they not only meet, but consciously over deliver to any company’s expectations. Their experienced management teams are staffed with professionals who deliver high effective customer solutions by maintaining control of all areas of their operations. The opportunity to work from home is always exciting and interesting, and ViaSource Solutions is proud to say that they offer work at home opportunities. Join our community now at wahspace.com and check out our job board to find what you’re looking for! When you work from home, your office space can greatly influence how you experience each day. Without a doubt, you will need a computer, phone, desk or table, and a comfortable chair, but after that there are still many important choices to make. Below are some tips that go beyond the basics for getting set up for success in your home office. Create Separation: We recommend having a dedicated office space that you use when working from home. Ideally, your home office will have its own door and be physically separated from the rest of the household activity. Many at home workers have a phone number strictly for business use that is separate from their personal phone number. This makes it easier to maintain separation between your personal life and work, and can cut down on confusion. Color and Light Choices: Choose a soothing color scheme to create a sense of calm in your home office space. You may find that choosing neutral and accenting colors make you feel energized and ready to work. Positioning your desk near a window to take advantage of the natural light from outside might motivate you to stay focused and on task. The green color of a living plant located in your workspace can help boost your efficiency to successfully complete your work. Be sure it has access to some natural light. Get (and Stay) Organized: One of the most important tips is to keep your office well organized. Be sure to have all of your business equipment, files, and storage in one place and not scattered all over your home. A desk with drawers or nearby storage bins is essential so that all of your supplies are right at your fingertips. At the end of the day, tidy up your papers, the same way you would do in a shared workspace to ensure that things are ready to go in the morning. Making your home office a reflection of you can help you to be comfortable and productive throughout the day. For more information on working from home, join the community and the conversation at www.WAHspace.com. So You’ve Decided to Work From Home. Now What? 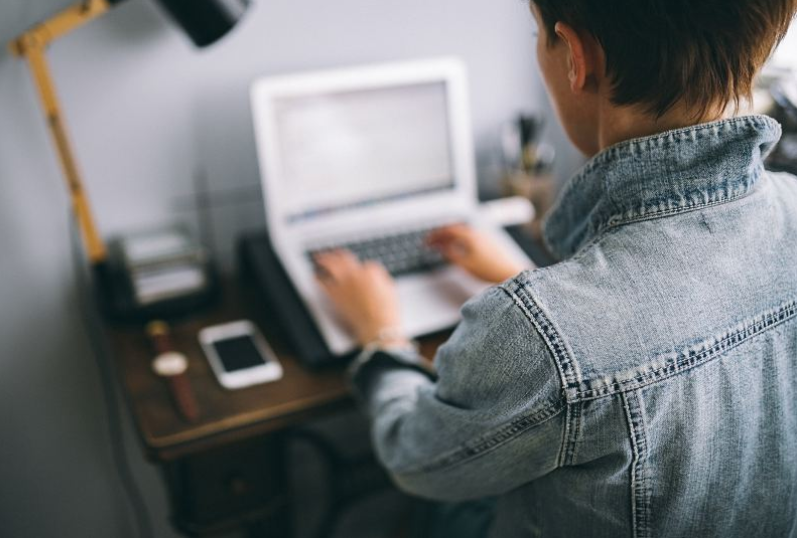 People decide to take the plunge into working from home for the first time for a number of reasons, but many find that they don’t know where to start. However, there is a way to branch out from the traditional office environment and live your work at home dreams. Below are some tips on how to be successful in landing your first work at home opportunity. Why are you looking to work from home? Figuring out why you want to work from home will help you to remember why you started this journey if you get discouraged. What type of work are you looking for? Are you looking for a full time telecommuting position, or would you be more satisfied with something more on a freelance basis? How often do you want to work? It is important to decide before you begin if you are looking for part-time or full-time work. Depending on the type of work that you are looking for, you may want to consider whether you are suitable for a position that requires a fixed schedule, or one that has flexible hours. 2. Take advantage of your WAHspace tools. A great way to get noticed by our WAH Certified Employers is to become a Premier Member and upload your resume to your profile. Many employers search for members based on criteria in their resume. Another way to get noticed is to build out your WAHspace member profile. This includes fully showcasing your talents and abilities, and filling out all fields. 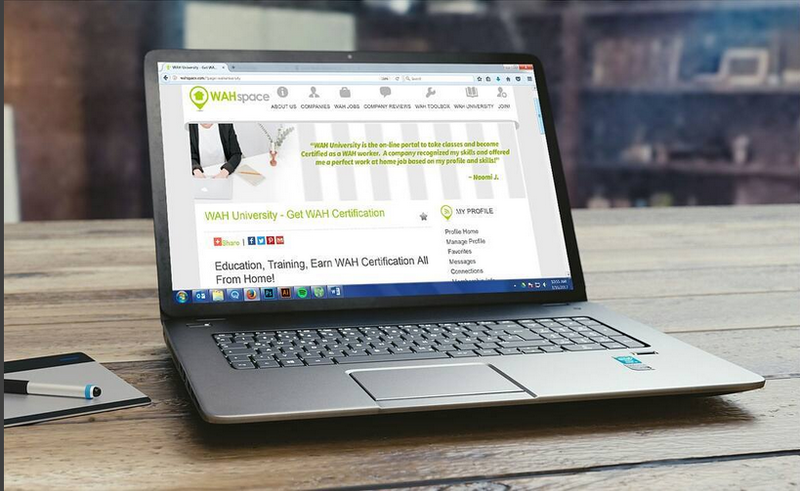 Another great way to get noticed by employers is to access WAH University and earn your WAH Certification. Not only do these different tests showcase your skills to potential employers, but it also demonstrates your dedication and level of professionalism in your job search. Many people can get discouraged in their search, and often get scared when trying something new. Don’t give up! Remember your why and know that sometimes it takes time to find the right opportunity. Occasionally, people get discouraged because some work at home opportunities want you to have prior at home experience. Remember that you can showcase your talents in ways that demonstrate readiness for an at home position. Skills that you learned in an office position, including customer service, time management and problem solving, can also demonstrate to employers that you would be a good fit for an at home role. For more information about working from home or to join the world’s largest work at home online community, visit www.WAHspace.com.